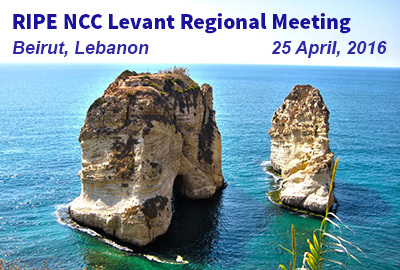 The RIPE NCC Levant Regional Meeting took place on Monday, 25 April 2016 at the Movenpick Hotel, Beirut, Lebanon. The meeting was attended by 140 attendees from 5 countries: Lebanon, Syria, Jordan, Palestine and Iraq. The meeting is hosted by OGERO and will be held in English language. RIPE NCC staff members that speak Arabic will be available throughout the week. The local meeting host will also be available.